Southpaw Musings | Covering the world of baseball one pitch at a time. Editor’s Note: In the spirit of seeking sunshine during a gray winter, and to help usher in the upcoming baseball season we will be counting down our favorite baseball movies for the next three weeks. Today we reach the end of our journey of baseball on the Silver Screen with the ultimate baseball movie. After three weeks of counting we have reached the ninth inning and can reveal the final movie on our countdown of our favorite baseball movies. 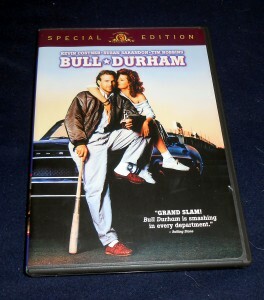 That movie is Bull Durham. I suppose Bull Durham resonates with me so well because while I was never a Minor League Baseball player, I was very much a Minor League Baseball fan and was attending games around the same time that the movie came out. In that respect, the members of the Durham Bulls, the real-life team that inspired the team in the movie, made a hilarious video reenacting some of the crazier lines from the film to honor the 25th anniversary of the movie’s release. What makes the video of the players recreating the lines so funny, and perhaps makes the rest of us feel a little old, is the fact that many of the players were not alive when the movie first came out. Another interesting aspect of the real life Durham Bulls is that they serve as the Triple-A affiliate of the Tampa Bay Rays who were 10 years away from existing at the time of the film’s release. As a bit of trivia the Bulls were a Single-A affiliate at the time the movie was made and were owned by one of the filmmakers. Although Patkin died in 1999, he will forever live on in his scenes from Bull Durham. That is both a testament to the man himself and to the filmmakers for recognizing the important role he played in conveying the essence of Minor League Baseball. Editor’s Note: In the spirit of seeking sunshine during a gray winter, and to help usher in the upcoming baseball season we will be counting down our favorite baseball movies for the next three weeks.. Today’s choice of silver screen Baseball goodness asks the question of whether they really will come if you build it. Our last entry on the countdown, Major League, was about humor pure and simple. Field of Dreams was Kevin Costner’s second baseball related movie and celebrated its 25th anniversary on April 21, 2014. 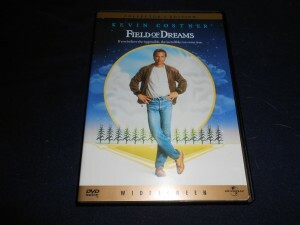 Field of Dreams asks viewers to go the distance in a charming baseball fantasy. There are of course elements in the movie that could never happen in real life regardless of how many voices we hear in the corn fields of life, but the belief that things like the ones depicted in the movie could happen somewhere are part of what make the movie one of the all-time bests. “Ray, people will come Ray. They’ll come to Iowa for reasons they can’t even fathom. They’ll turn up your driveway not knowing for sure why they’re doing it. They’ll arrive at your door as innocent as children, longing for the past. Of course, we won’t mind if you look around, you’ll say. It’s only $20 per person. They’ll pass over the money without even thinking about it: for it is money they have and peace they lack. People will come Ray. The one constant through all the years, Ray, has been baseball. America has rolled by like an army of steamrollers. It has been erased like a blackboard, rebuilt and erased again. But baseball has marked the time. While the above monologue has become one of the most memorable elements of the movie, it should be noted that James Earl Jones was convinced that it would never make the final film . Thankfully for the fans of the movie and baseball it did not end up on the cutting room floor. Now if you’ll excuse me I need to get ready to go the distance to some Spring Training games. Editor’s Note: In the spirit of seeking sunshine during a gray winter, and to help usher in the upcoming baseball season we will be counting down our favorite baseball movies for the next three weeks. Today’s choice of silver screen Baseball goodness is a Major League triple play. Sometimes a baseball movie should just be about pure unadulterated humor. Yes, baseball is big business but it is also still a game, and games are meant to be fun. With the spirit of fun in mind our focus turns to Major League the story of a rag tag group of players uniting for a common goal against a common enemy in the form of their team owner. Baseball Monday has a triple play of Major League starring Charlie Sheen. For the strict humor baseball movies it is hard to top Major League. Add to the equation that Charlie “Tiger Blood” Sheen did all of his own pitching in the film and you have the makings of a cinematic classic. Major League begat two sequels that while not quite as funny as the original are certainly worth viewing as well. There are even some rumors floating around of another sequel with the original cast returning but one really wonders how much comedic gas they could have left in the tank although I certainly could go for some more calls from Harry Doyle and am also curious to see if Charlie Sheen can still bring the heat. Editor’s Note: In the spirit of seeking sunshine during a gray winter, and to help usher in the upcoming baseball season we will be counting down our favorite baseball movies for the next three weeks. 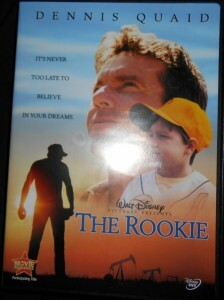 Today’s choice of silver screen Baseball goodness looks at what happens when one gets a second chance to follow a dream. Now if you’ll excuse me, I have some Rays baseball to get ready for. Editor’s Note: In the spirit of seeking sunshine during a gray winter, and to help usher in the upcoming baseball season we will be counting down our favorite baseball movies for the next three weeks. Today’s choice of silver screen Baseball goodness is our first doubleheader. For pop star Meghan Trainor it is all about that bass, for the two movies on our countdown today, it is all about that baseball player. 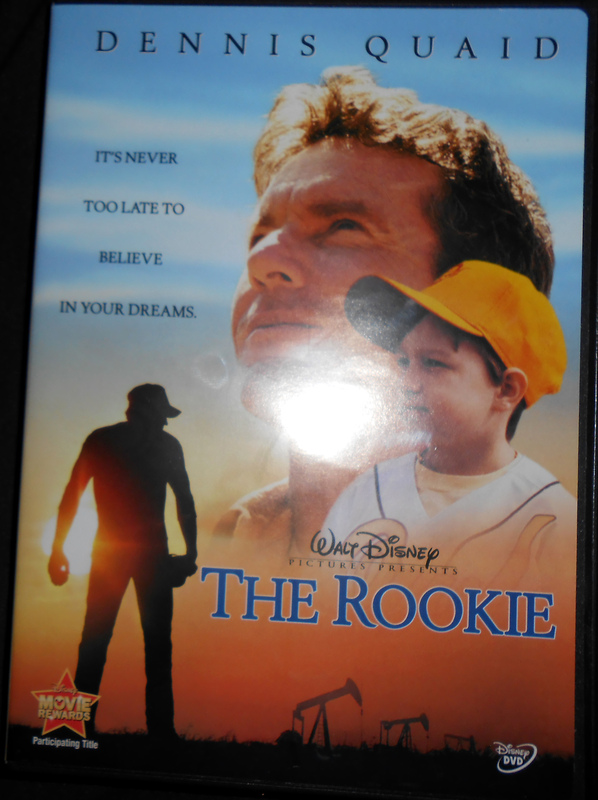 Today Baseball Movie Monday focuses on two movies, Talent for the Game and Trouble with the Curve, which shed light on some of the unsung heroes of baseball, the scouts. Although the movies came out around 20 years apart they each do a superb job of showing the life of a professional baseball scout. Throughout the history of baseball individuals have scoured the back roads of America looking for that hidden gem of a player who can be the missing piece of the puzzle for a team looking to have long term success. 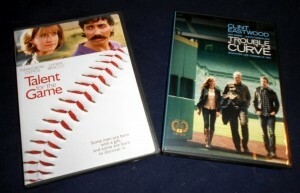 Talent for the Game and Trouble With the Curve are two movies focusing on what it is like to be a scout in Major League Baseball. Countless hours are spent by these scouts out on those back roads watching baseball games at Ballparks across the country trying to find players for their organization to draft. In recent years teams have focused on international players with baseball academies in the Dominican Republic and other nations but the fact remains the bulk of Major League Baseball players are still from America and someone needs to discover them. Of course with the addition of the internet and other factors the need for scouts to physically travel the back roads has diminished in some way over the last couple of decades as You Tube and other sources provide a way to track players nearly from the first time that they pick up a ball or a bat. Several teams have even made drastic cuts in the size of their scouting departments while ramping up efforts on the analytical side of the game. Both movies focus on the scouts dealing with pressure from their management to change with the times while struggling to hold on to the tried and true evaluation techniques that decades in the game have given them. Personally I prefer to think of baseball with the scouts as part of the game and not some area to be replaced by computers and spreadsheet. Throughout the entire game I was entertained by stories from these rough around the edges baseball lifers and was given a firsthand look into a piece of the life of a scout. Many of the stories from that game among the scouts cannot be repeated in a family column, but they showed insight into a brotherhood where there was a kinship among the nomadic brothers in arms despite the competitive nature that goes along with the job. For those without access to scouts of their own, Talent for the Game and Trouble with the Curve transport the viewer into a scout’s life as they balance their love for the game with the elements of time that are encroaching to make their fate seem like that of the dinosaurs. Edward James Olmos and Clint Eastwood each give strong performances as the scouts. Both movies also feature strong supporting casts and story lines that have one pulling for the scouts to defeat the odds and find a way to continue doing what they are doing. It is very possible that a day will come when the sabermetric movement eliminates the use of all baseball scouts. If that day does come at least there will be movies like Talent for the Game and Trouble with the Curve to show future generations the way talent used to be found. Hopefully next year I can once again find a Spring Training seat with the scouts to hear more tales of a nomadic live on the road. Until then, I have these two movies and my memories to act as my guide to the life of a baseball scout in search of the next big thing. Now if you’ll excuse me, I have some movies about scouts to watch.